Underneath Pusey St, Oxford, a number of exciting stories lurk in the rolling stacks of The Angus Library and Archive. Through developing Archive Taster Sessions, we aim to set loose some of these stories by offering inquisitive students challenging and intriguing activities framed around historical individuals. The focus is on giving students the opportunity to handle real historical items, such as original correspondence, diaries and photographs, and use these to develop their enquiry skills. 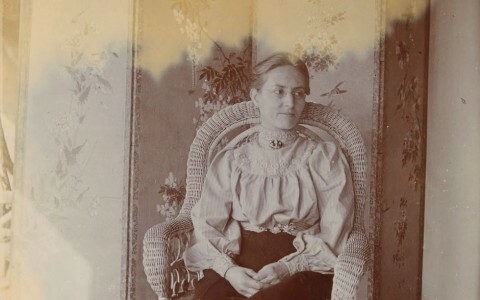 Students investigate the challenges Dr Ellen Farrer faced as a woman doctor and the first Baptist Medical Missionary to travel to India in 1891. 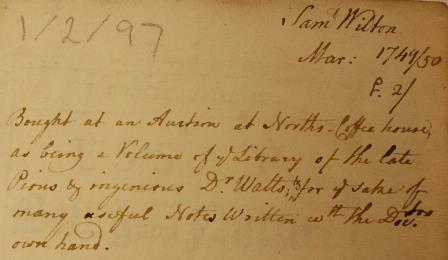 Items include nineteenth-century medical certificates, diaries and a solid gold medal! Students examine Knibb’s involvement in the campaign against slavery and Jamaica’s largest slave rebellion, looking at Knibb’s achievements within the broader context of the abolition movement and Britain’s involvement with the slave trade. Items include early nineteenth-century correspondence, pamphlets, and newspaper articles. As part of widening access to The Angus, we have been piloting our Archive Taster Sessions through fostering a partnership with IntoUniversity, a charity which ‘supports young people from disadvantaged backgrounds to attain either a university place or another chosen aspiration.’ This partnership is helping us to reach our target audience of Year 10/11 students who have not yet had experience of working in an archive setting. Our location within an Oxford college also fulfils some of IntoUniversity’s objectives; as part of the day, we arrange to include some encouraging experiences of ‘university life’. Some willing Regent’s Park College students volunteer to assist with the activities, and answer the participants’ questions about attaining a place at university and what to expect from university life. The crucial point of an Archive Taster Session is to let students handle original material from the library and archive. The very process of coming into contact with original items inspires the students and so we have to think carefully about both letting the students enjoy this experience and preventing any original material getting accidentally damaged. We overcame any concerns by giving students and visiting staff a 15 minute ‘object handling’ lesson prior to using the archive, all photographs and letters were placed in melinex sheets to protect them and volunteers and staff kept a close eye on the use of the more fragile source materials. We wanted all the students attending to feel involved and get the most out of using the archive. Students were encouraged to ask questions and supported by volunteers throughout the day. Students were asked to work in pairs to discuss their ideas and feedback to the group. Objects were selected for the accessibility, which meant that every student could find something to say about what they were examining. 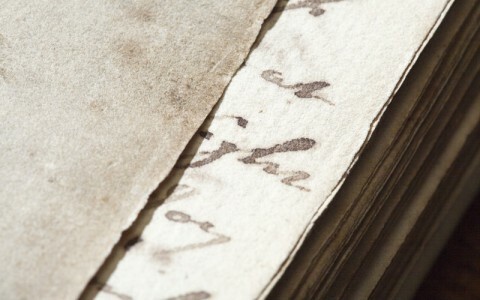 We also provided transcripts for any letters which were difficult to decipher, but only after students had tried to read them thus demonstrating one of the real challenges faced when using an archive. At the end of the day, students were given time to ask more questions about The Angus. We also brought out our oldest bound item, the Nuremberg Chronicle, as an exciting item to finish with. 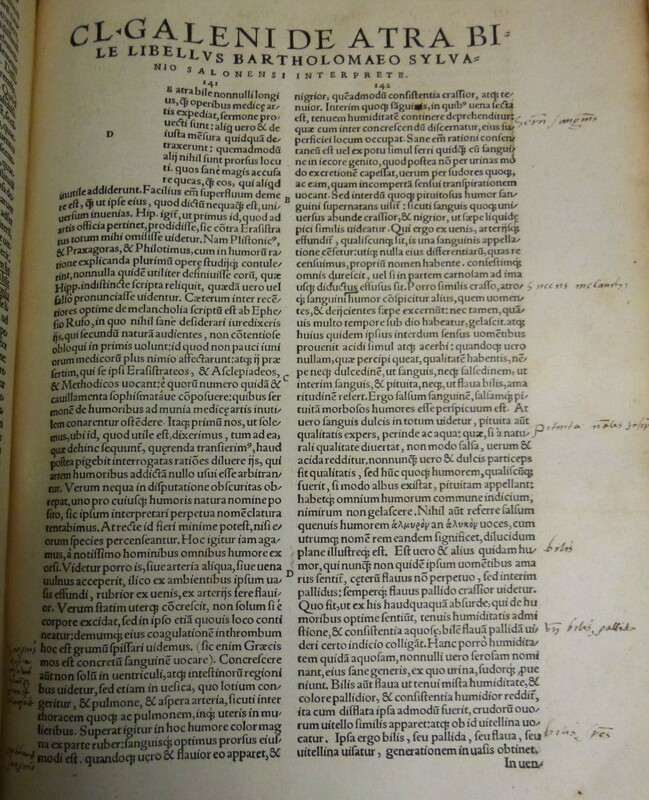 Students were encouraged to carefully turn a page in the Nuremberg Chronicle, and were told about older binding methods and the use of woodcut illustrations. This fed into a discussion about the ‘treasures’ of The Angus and left students with the impression that they only saw a small sample of what is held in the library and archive, encouraging them to think about exploring archives further to find more ‘hidden gems’. Sacred Songs and Solos was a revolution in hymnody when it first appeared. It was one of the first hymnbooks to transcend the confines of the standard metrical tunes which could be fitted to most hymns to some extent. Metrical hymn singing was not always without embarrassment: an elderly friend once recounted the occasion when the musical line breaks caused her congregation to implore heaven to ‘stir up our stew’ (Stir up this stupid heart to pray). Ira Sankey was a Methodist hymn writer and gospel singer who was closely associated with the massive evangelistic crusades of the Congregationalist Dwight L. Moody. Although the pair were from the USA, they were particularly popular in Great Britian, where they preached and sang in front of crowds of thousands. They were early ecumenists, and crossed denominational divides, while remaining firmly in Evangelical camp. 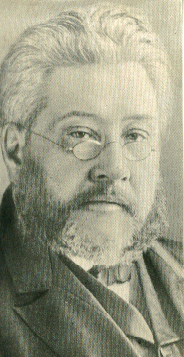 Their work was particularly supported by the Baptist Charles Spurgeon from his Metropolitan Tabernacle in South East London. Sankey’s lively music was a massive hit, and he released Sacred Songs and Solos in 1873, which is often referred to as Sankey and Moody, although only one hymn had lyrics written by Ira Sankey, and not a single one was composed by Dwight Moody. However, many of the tunes were arranged by Sankey in a modern ‘pop’ style. It has been noted that Sankey’s style of arrangement owed a great deal to black Gospel music, music hall tunes, Bluegrass and even early forms of jazz. This can be seen in the very syncopated rhythm in this arrangement of Sweet By-and-By. However, this influence was gradually ironed out by European churches, and by the 21st century, while Sankey’s cheerful melodies are still used, the rhythm has degraded almost beyond recognition. 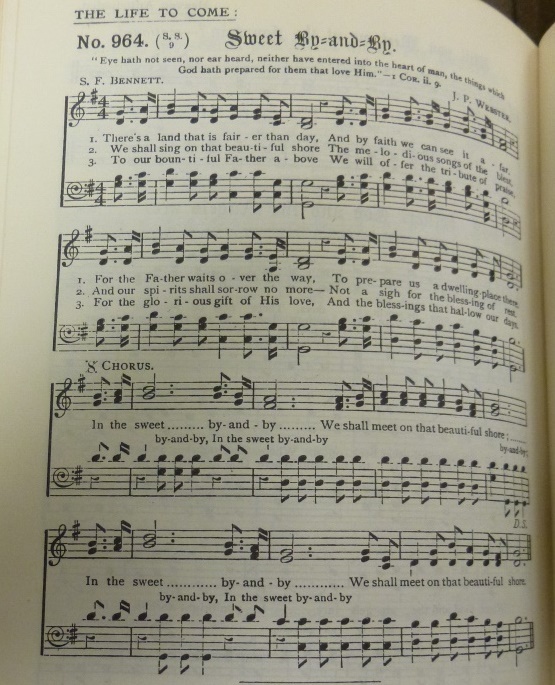 Many of the hymns are still in use in many churches today, and the style of the meetings continues to influence preachers and musicians. However, others have not withstood the test of time so well. A notable casualty is O Where is my Wandr’ing Boy Tonight? 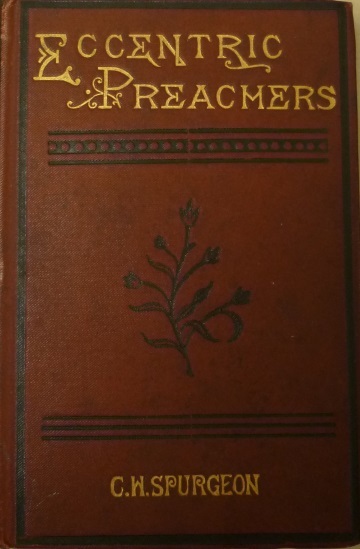 Charles Spurgeon (1834-1892), the charismatic and prolific Baptist author, first published this petite volume in 1879. The Angus holds the 1888 edition, published as part of “Spurgeon’s Shilling Series” and only 12.5cm high. Now I am free to admit that the word has come to mean singular, odd, whimsical, and so forth; but by going a little deeper into its etymology, we discover that it simply means that the circle in which an eccentric man moves is not quite coincident with that which is followed by the majority: he does not tread the regular ring, but deviates more or less as he sees fit. Indeed, Spurgeon has been regarded as an eccentric himself: he recounts, as one instance, a letter received from a Dutch minister, who had been shocked to the core to hear him preach. But what had Spurgeon done that was so distressing? He said that I wore a moustache like a carnal, worldly-minded man! Spurgeon puts forward a passionate defence of a number of pastors whom he considers to have been unfairly charged with eccentricity, and in the process tells a number of curious tales. Time was when it was accounted one of the outrageous deeds of a certain Jack Hanway, that he actually walked down a street in London on a rainy day, carrying a new-fangled kind of round tent to keep off the wet; yet no one quotes this action now as a proof of extreme eccentricity, for umbrellas are as common as mushrooms. A man once went to Vincennes, in the United States, to hear Lorenzo Dow preach on backsliding. He said, ‘An immense concourse of people assembled in the woods, and waited for Dow’s arrival. Finally he made his appearance, and at the time all expected the sermon he arose, climbed up a smooth sapling, and cried out, ‘Hold on there, Dow; hold on.’ He soon slid down to the ground, and put on his hat and left. That was all the sermon we heard that day. Dawson was once preaching about Noah’s ark, and finding himself boxed up in the pulpit he said, “This won’t do.” He opened the pulpit door and he came down the stairs to the bottom of the pulpit, and there he began to fell trees and cut and saw them, and then he seemed to be hammering away to make the ark, which was represented by the pulpit. If God gave him the histrionic faculty, why should he not use it to impress his hearers? A gentleman not long ago was set down as very eccentric because being asked whether the tea was to his taste, he replied that it was not, for it was very weak and nearly cold. Others had equivocated, or had expressed themselves delighted with the nauseous decoction, and none of these were set down as eccentric. The more’s the pity! So for those who desire full satisfaction, the text is located in the Angus collection, shelfmark 1/2/218. Spurgeon quotes from William Taylor, The Model Preacher. 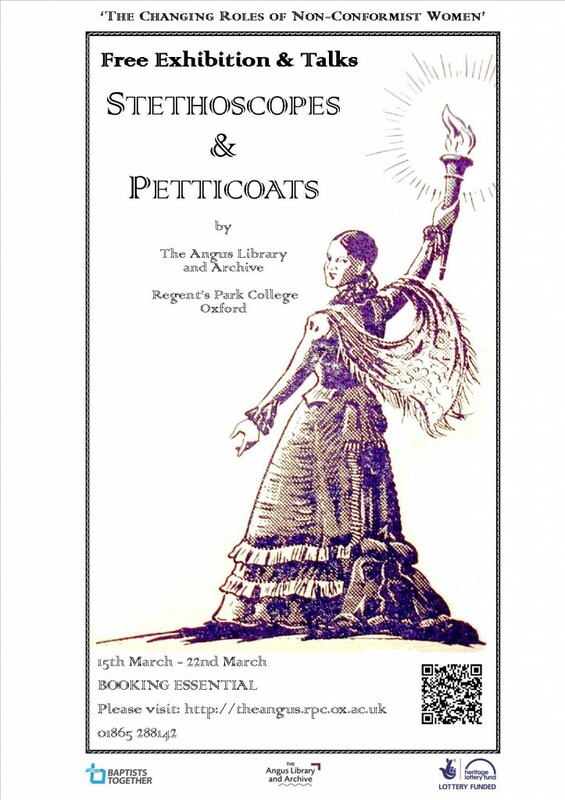 Hilary Ingram will be giving a talk on The Life of Dr Ellen Farrer on Wednesday 19th March at 5.30pm, Regent’s Park College, Oxford. Booking is essential. Ellen studied at the London School of Medicine for Women and the University of London, becoming one of the first women in Britain to qualify as a doctor. During the 19th century, a career in medicine was not an easy path for a woman to follow. Gaining practical medical experience after graduation was extremely difficult, since hardly any resident hospital posts were open to women, leaving no other option but to obtain experience by attending clinics at hospitals for children, eye and dentists departments or medical missions. 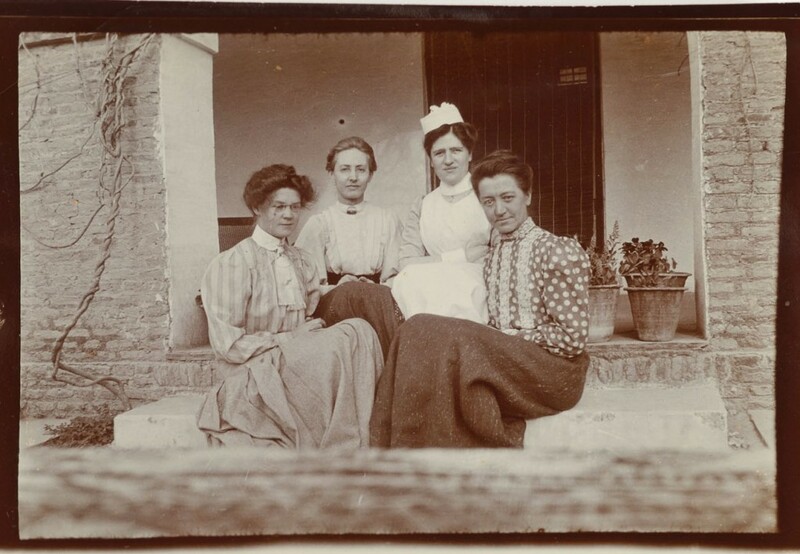 Ellen Farrer eventually obtained the post of Resident Medical Officer at New Hospital for Women in Euston Road. The hospital had been founded in the 1870s to enable poor women to obtain medical help from qualified female practitioners, a very unusual thing at that time. Nevertheless, travelling overseas seemed the best way to carry on with her medical work. 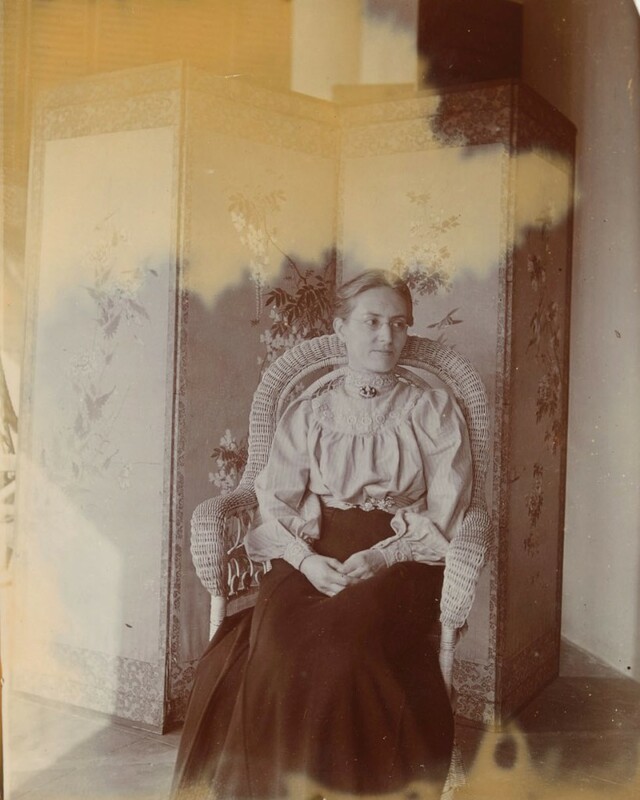 In February 1891, she decided to apply to work as a missionary doctor with the Baptist Zenana Mission in India. Her application was successful and she sailed to India, arriving in November 1891. Ellen started working at Bhiwani, a small town near Delhi, taking over a small dispensary run in an Indian house. Medical aid among the Bhiwani women was essential, as they were discouraged from attending the Government Dispensary and Hospital, where the doctor was male. Initially, Ellen found that patients were reluctant to stay at the dispensary for treatment and some were suspicious of her ‘new’ way of practicing medicine. In her diaries and letters, Ellen Farrer explains how the success in her first surgery was vital in gaining the confidence of the people. She also writes about problems with unsanitary conditions, a lack of light and unreliable water supply. Early operations were performed in the open air in order to have enough natural light (with a patient’s friends and family observing from the rooftops!). Despite these difficulties, soon a 24-bed hospital was established. The 24-bed hospital was sometimes called up to treat over 40 patients. In 1923, a new, bigger and better hospital with 50 beds was opened and named ‘The Ellen Farrer Hospital’. She remained working there for ten more years, until her retirement in 1933. Her efforts were recognised twice by the Indian Government which bestowed on her the Kaiser-i-Hind Silver Medal and later the Gold Medal of the same order (1928). Many of the books being catalogued as part of the HLF funded project are from Regent’s Park College’s library in its original location at Stepney Green, where the Baptist Academical Institution (as it was known in its first couple of years) was housed from 1810-1856. As the books acquired at this time were intended to form a working library for the students, many books in old bindings were either rebound, or repaired using up to date materials, as was the case in most libraries at this time. Sadly, these ‘improvements’ to the books proved short-sighted, as many Victorian mass-produced materials used have stood the test of time less well than the older hand-crafted supplies which were replaced. While cataloguing a 16th century edition of The Works of Athanasius, my initial impression was that the rotting leather spine, flimsy machine made endpapers and cheap marbled paper covers meant that the book had been completely rebound at about the time of its arrival in Stepney. 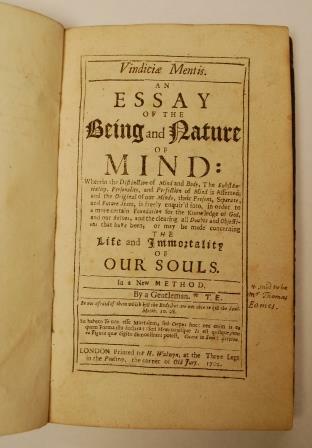 As information on the title page tells us that the book had a rich history having belonged variously to Jesus College Cambridge in 1700, and to famous abolitionist Granville Sharp in the later years of the 18th century, this loss of material evidence was a source of regret. 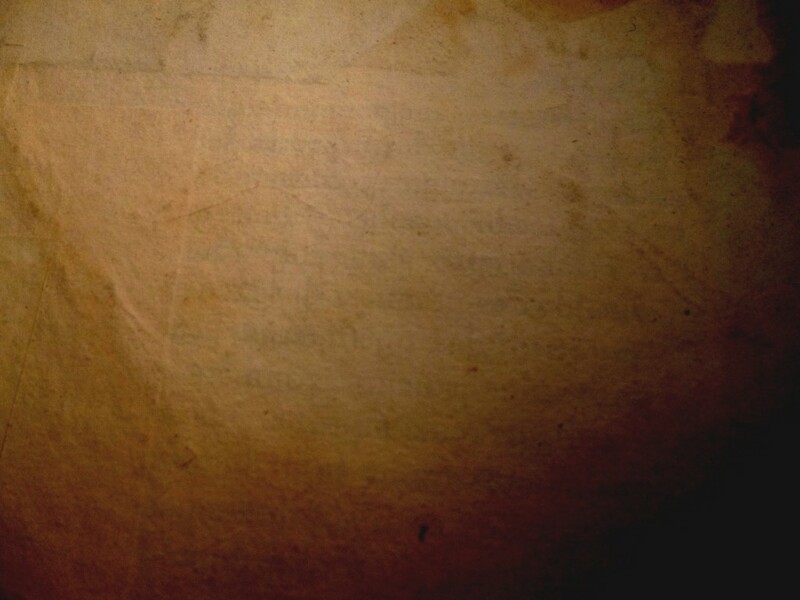 However, on closer inspection, printed text of a similar age and style to that in the 16th century book was visible through the 19th century paper on the inside of the front cover. 3 lines of text are faintly visible in this photo. It remained common for binders to use waste paper in the parts of their work that their clients couldn’t see until very recently, but why would a 19th century craftsman have 250 year old waste paper? He didn’t. Turning back to the outside of the front cover of the book, the poor quality Victorian leather had peeled away near the spine edge, to reveal a much earlier binding underneath, probably dating from the late 16th or early 17th century. Rather than using new materials, the binder seems to have merely ‘upcycled’ the existing covers. Whoever paid for the rebinding could reasonably be annoyed with this deception. However, for book historians in the 21st century, this cutting of corners is good news, as it means that some details of the book’s life and travels (Q. How wealthy was the book’s first owner? A. Middling. Q. Were they English or Swiss? A. English) have inadvertently been retained through an anonymous workman’s cost cutting schemes. 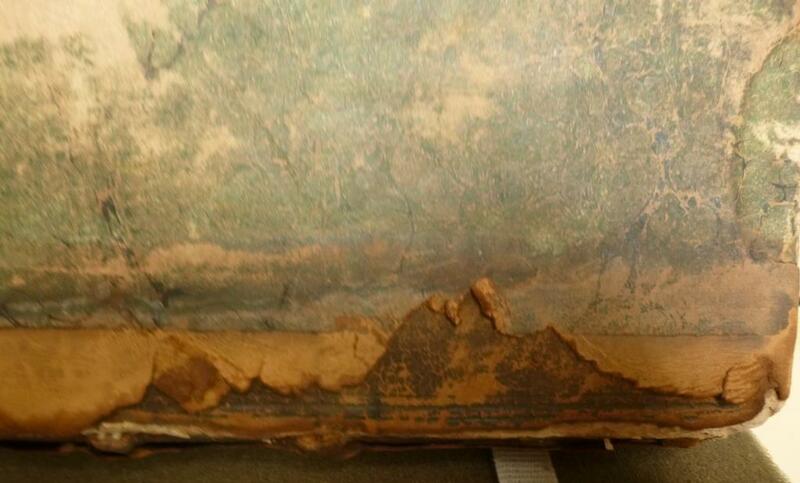 Victorian leather has peeled away near the spine edge, to reveal a much earlier binding underneath, probably dating from the late 16th or early 17th century. This copy of Galen has had a hard life, but a useful one. The 2nd century Greek physician is now often mentioned only with respect to his errors (which are glaring, including continuing the theory of humour imbalance and believing that being female was a sort of birth defect), but when his work was reintroduced to European doctors in the 11th century, it was far in advance of any medical knowledge available for the previous five hundred years. His writings continued to be the apex of medical research until the 16th century, and were still widely used as a medical text books into the mid-19th century. This Latin edition, printed in Basle in 1542, belonged to at least three English doctors during the 17 and 1800s : John Johnson, William White, and William Balfour Baikie. As yet, nothing is known of John Johnson beyond that he was a doctor in York. 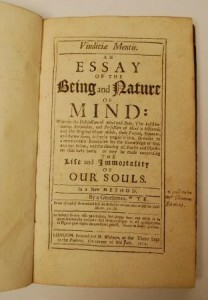 William White (1744-1790 : another Yorkshire doctor) wrote An essay on the diseases of the bile… (London : Bell, 1771), and presumably used this very book in his research. A tiny handful of copies of his treatise remain in a few specialist libraries of medical history. The final known medical owner was a naval surgeon of the Victorian era, who gained fame (and an entry in the Oxford Dictionary of National Biography) for his work as an explorer, topographer, geologist, and linguist of the Niger region, and of his own native Scottish islands. While many African explorers’ writings are notable for their relation of thrilling exploits against exotic locations, Baikie’s works are serious scholarly tomes of in depth research. This intelligent man’s most lasting legacy, however, was his pioneering use of quinine during his first Niger exploration in 1854. Before this, most expeditionary crews had lost a large number of members to malaria, and early European colonies in West Africa had been wiped out by the illness. However, thanks to Baikie, his group remained malaria-free, and quinine’s use was rapidly adopted by all Europeans in Africa. Now that the British army could fight off malaria, they could easily overturn West African power structures, and the fate of two continents was sealed for the next century. Baikie’s other equally lasting African legacy was linguistic. To this day, the Nigerian Igbo people still use the word ‘Bekee’ (a mild corruption of the explorer’s name) to refer to a white man. This work is not in itself unusual. 24 other copies are recorded on the English Short Title Catalogue, and there are almost certainly other copies in private or uncatalogued collections. However, the author of the book was himself unusual. Expelled from the Baptists in 1694 for promoting heretical views (recorded in Cripplegate, London, Baptist Congregation Church Book, 1693–1723 – which is in the archives here at The Angus Library and Archive), by the time of Emes’ death in 1707, he had become aligned with an eccentric Huguenot cult known as the French Prophets. One of this congregation prophesied at his death bed that he would undergo a physical resurrection. However, 3 days after his death it was wisely decided to bury the putrid corpse, and the time of his resurrection was revised forward by 5 months. The cult’s future demise was assured by Emes’ failure to appear at the appointed time. 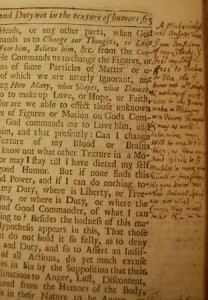 This copy of Emes’ book was owned and annotated by the rather more orthodox Isaac Watts. Strictly speaking, he was a minister in the Independent tradition, but in the early days of non-conformity, the boundaries between dissenting denominations were rather blurred, and Baptists consider him one of their own. A great deal of myth and legend surrounds Watts (notably the unverifiable story that he was persistently punished in childhood for refusing to speak in prose), but it is generally agreed that his work transformed worship across all denominations in England. 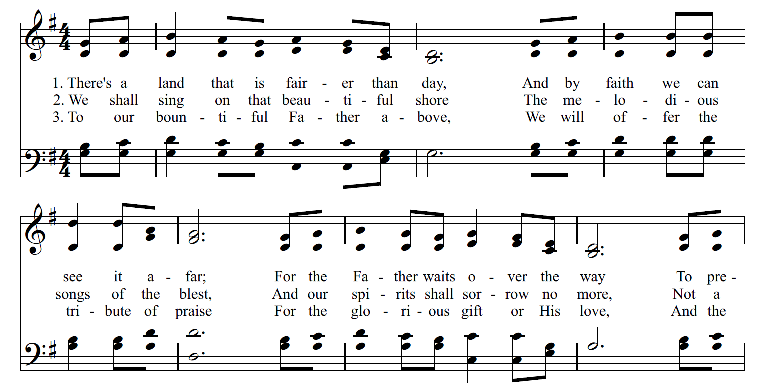 Prior to Watts, congregational singing had usually been confined to metrical Psalms, and direct and rather clunky translations of a handful of other Biblical texts. Watts not only ‘updated’ the Psalms in a direct and engaging style, (such as ‘O God our Help in Ages Past’ based on Psalm 90), but also wrote didactic and meditational hymns including the perennial favourite ‘When I Survey the Wondrous Cross’. 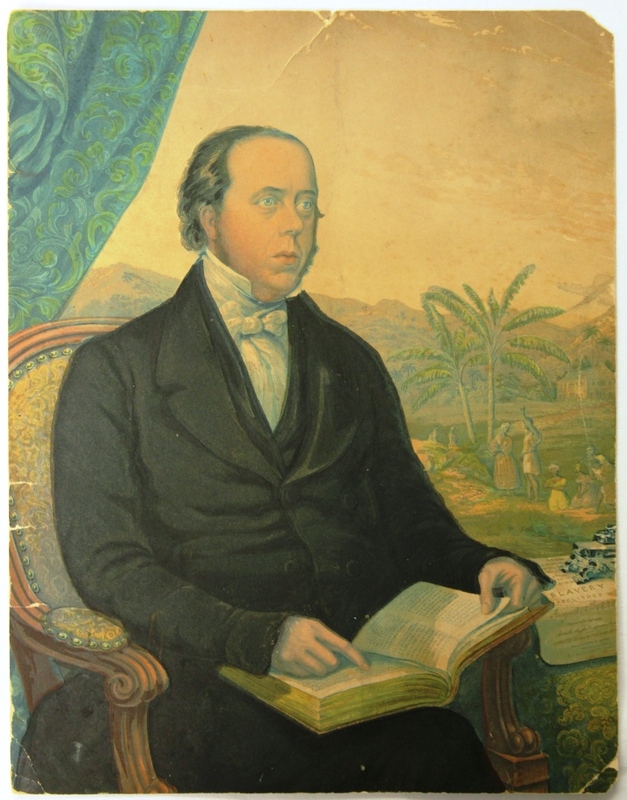 His hymns were rapidly adopted not just by dissenting congregations, but even in Anglican circles. As the hymnodist immodestly said of his own Hymns and Spiritual Songs: “If an Author’s own Opinion may be taken, he esteems it the greatest Work that ever he has publish’d”. 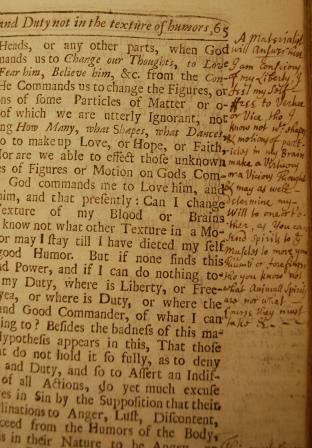 Cataloguing of the older books in the collection has recently begun, and one of the first items to be catalogued is The New Whole Duty of Man (London, 1756). First published in 1658 at the end of the Commonwealth period, it promoted the High Anglicanism which was restored with the monarchy two years later. It caught the religious mood of the time, and rapidly became a bestseller, and could commonly be found alongside a Bible and a prayerbook in even the humblest of homes. This is a revised version which first appeared in 1741, which is considered necessary because original version was ‘designed for those unhappy times in which it was written’, and failed to mention the XXXIX Articles ‘tho’ essentially necessary to salvation’. This 14th edition of the revised version is very rare: only 5 copies are known to exist in libraries across the world. This is the only complete copy available in the UK. In addition to its interest as a bibliographic rarity, this copy has a rather more immediate appeal in its childish drawings and doodles preserved inside the back cover, and the rough and ready brown woollen dust jacket obscuring the original leather binding. Who were the amateur portraitist and sitter? Is it a self-portrait? How much trouble was the artist in when their handiwork was discovered by their parent or guardian? The evidence we have at the moment can’t answer these questions, but the pictures can quickly take us back two hundred years to a moment in time when a child was bored in church. The Angus Library and Archive will be launching imaginative lesson starters and in-depth teaching resources, co-created with teachers. In October 2013, we are running Twilight sessions to plan the style, content and images used in our learning resources. Upon completion of the resources, schools will then be able to access the materials from our website and engage with others regarding exciting ideas for using the resources.